Is California Ready For Recreational Marijuana? Butte Fire, settlements are rolling in, but are people prepared? After the Drought: What about the Trees? The ban beat out two other options as most ideal... An option to reduce zones available to cultivate was also superior per the document, but did not reduce as many environmental effects as the ban...Aesthetics and water quality could be worse in some areas if a ban is only partially complied with...illegal cannabis activities could continue or increase in the event of a countywide commercial ban that would eliminate funding to monitor or abate cannabis farms. 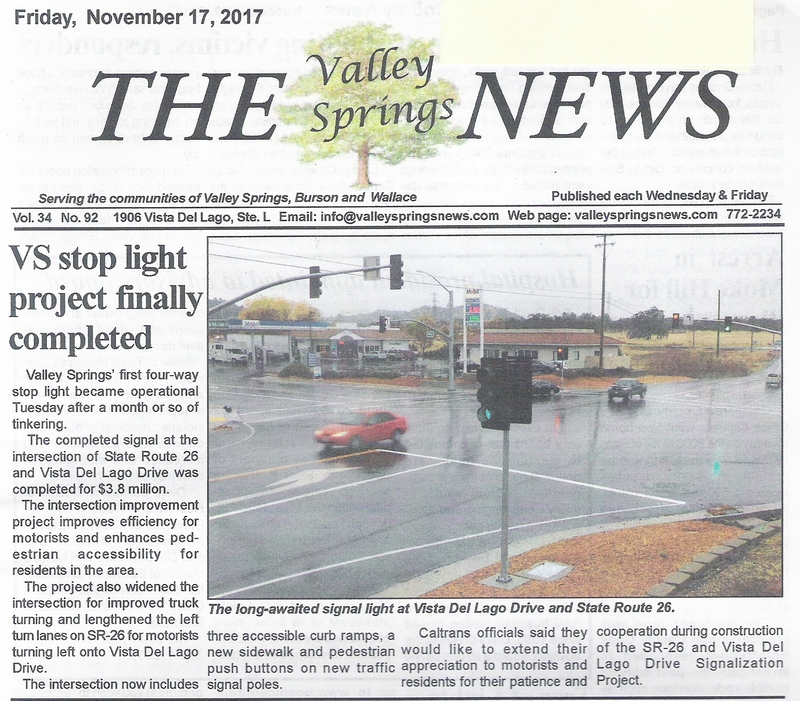 Click here for article—Calaveras Enterprise, April 28, 2017. What will Calaveras supervisors do if Measure B fails? Urgency Extension On Calaveras Cannabis Regulations 'A Coin Toss'? Will Calaveras Turn 'A New Leaf' On Commercial Pot Grows?